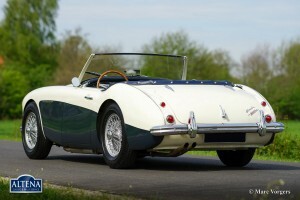 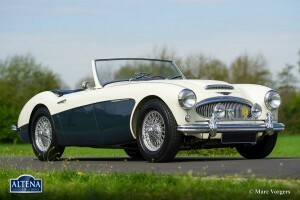 Austin Healey 3000 Mk II, year 1962. 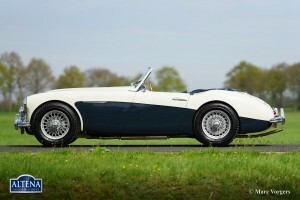 Colour crème white over dark blue. 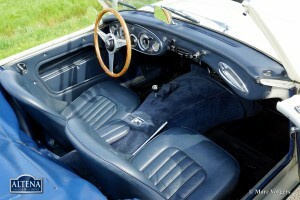 Blue leather interior and a blue tonneau cover. 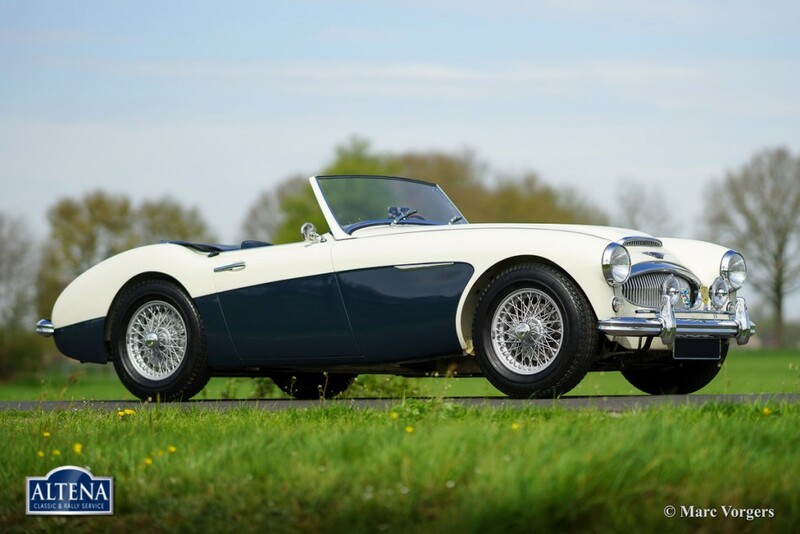 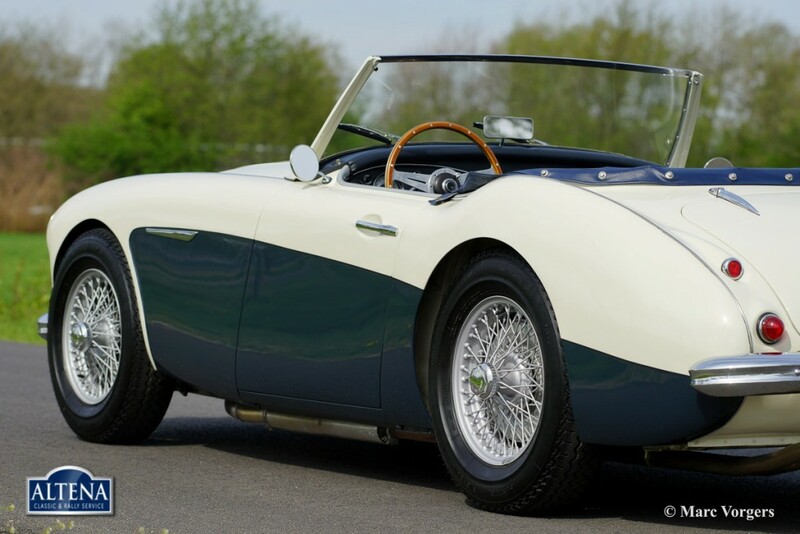 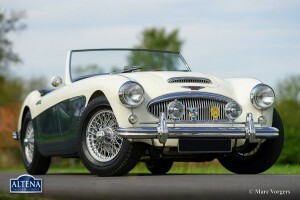 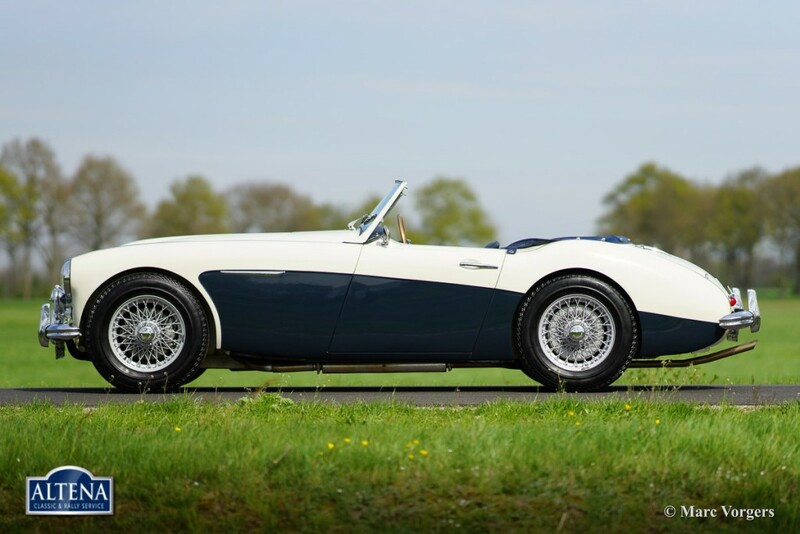 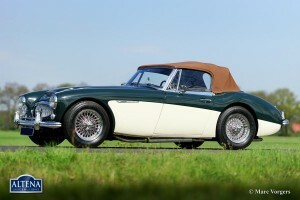 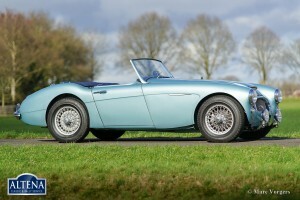 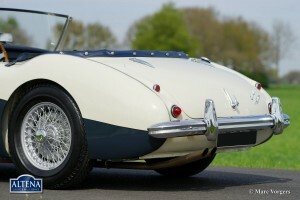 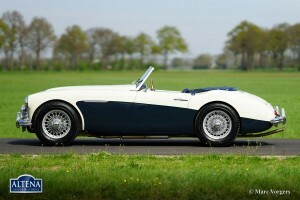 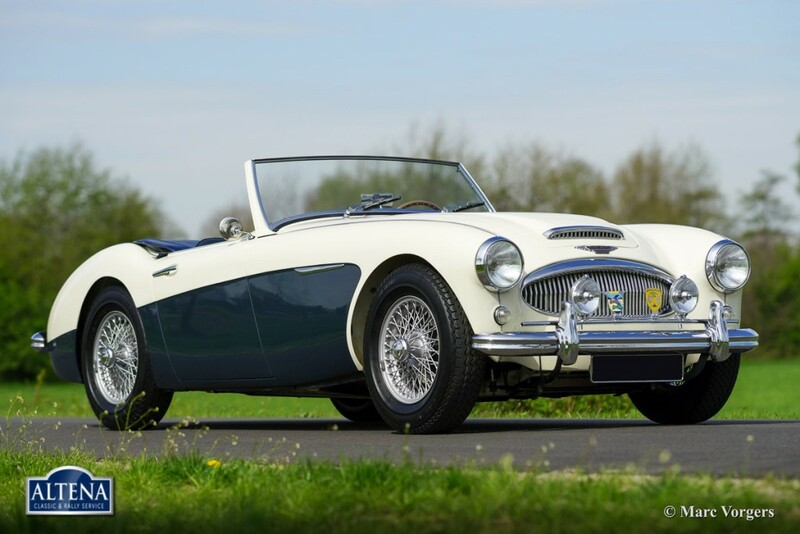 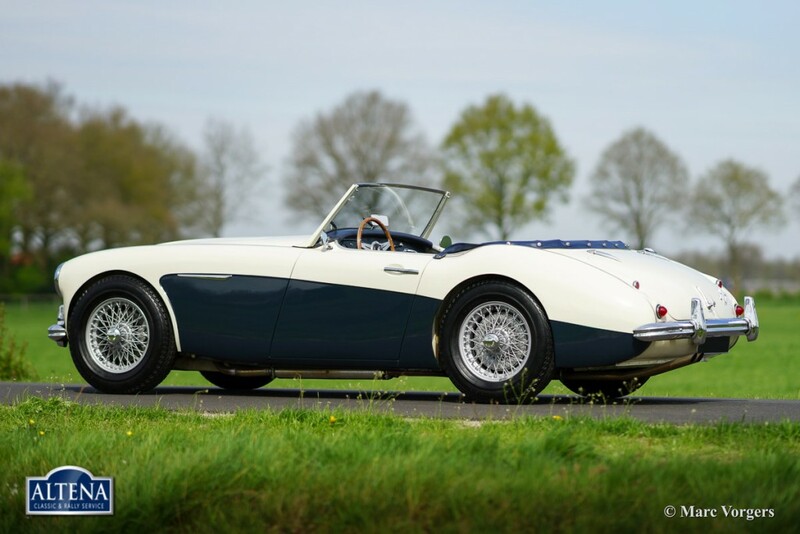 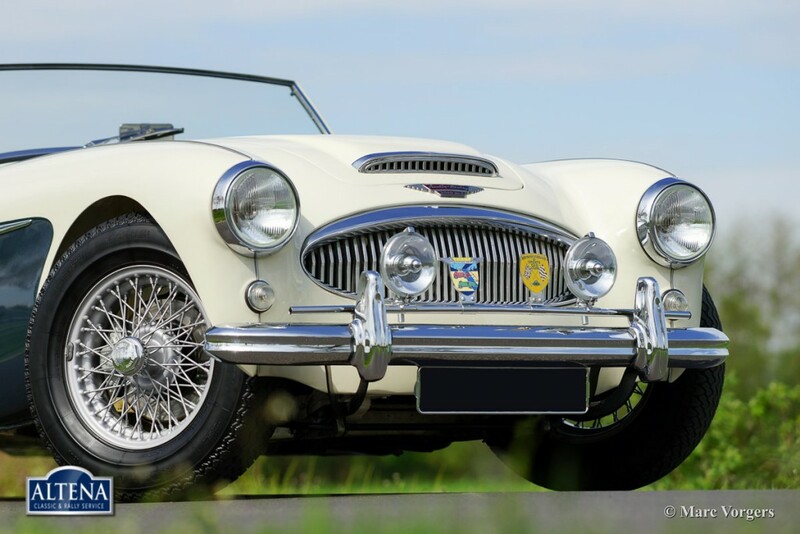 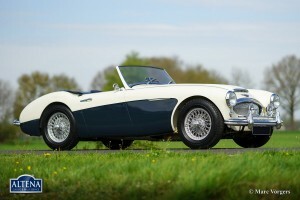 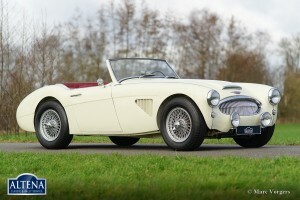 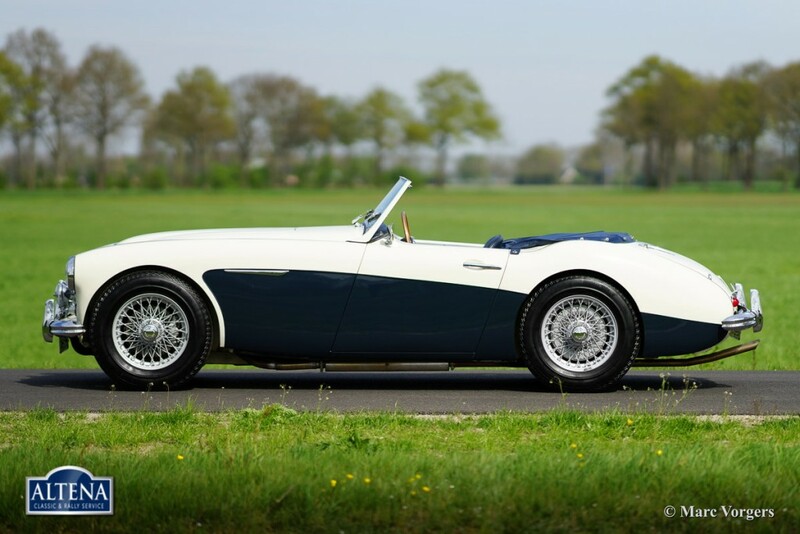 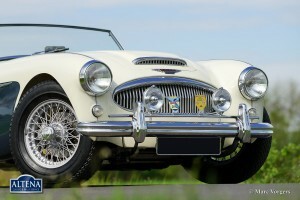 This wonderful Austin Healey 3000 Mk II is a rare 3-carburettor model. 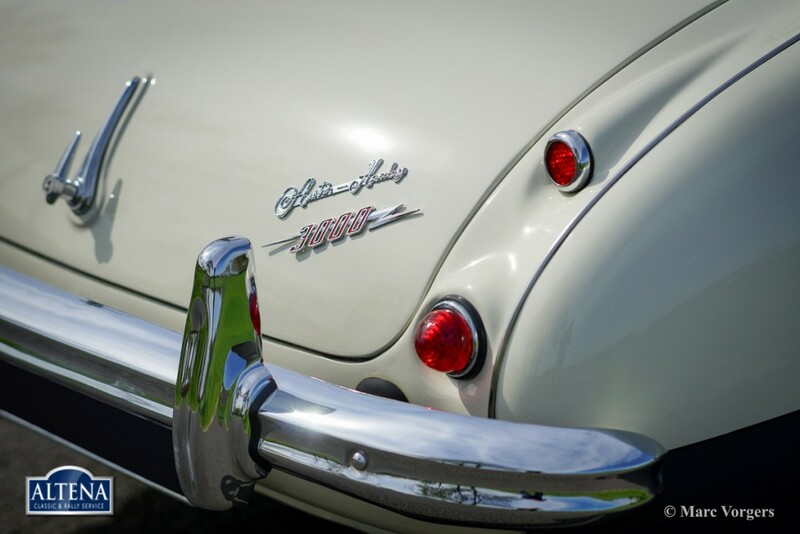 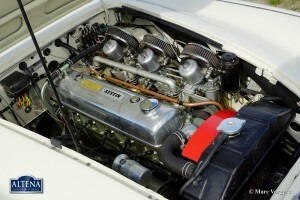 The automobile was extensively restored a few years ago. 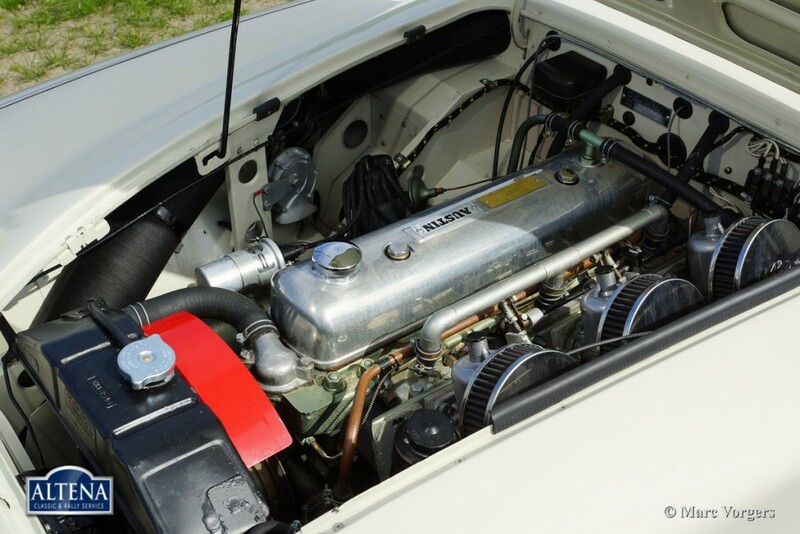 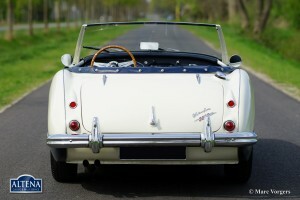 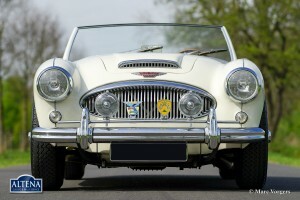 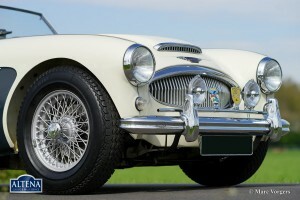 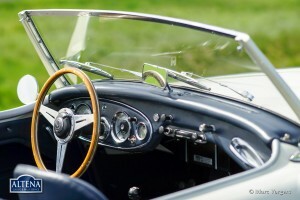 This Healey drives perfect and the car is in superb (excellent+) condition! 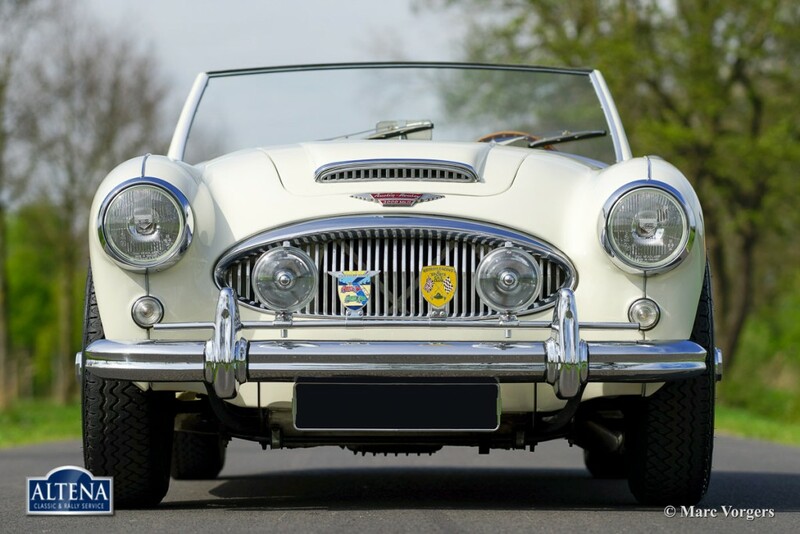 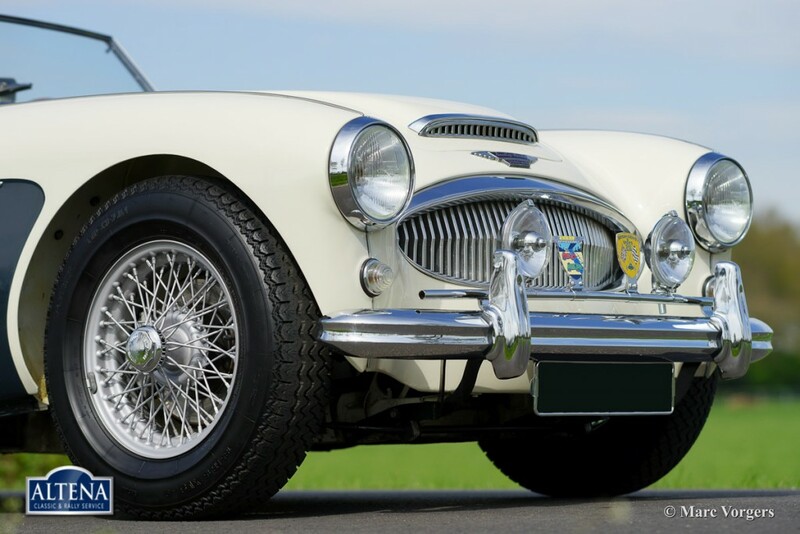 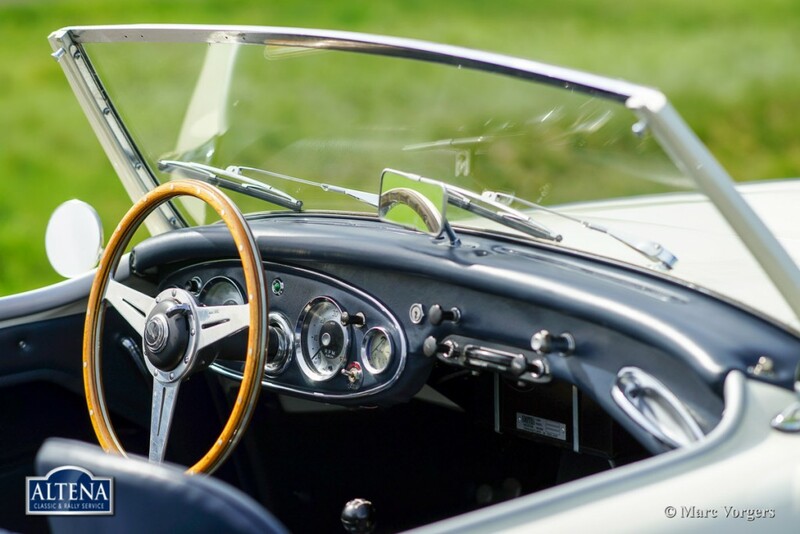 This fine Healey features overdrive, enameled wire wheels, a MotoLita sports steering wheel with wooden rim, a chrome badge bar with additional driving lamps, aluminium rocker cover and a Stainless Steel exhaust.